For just the seventh time, an album has jumped from outside the Top 10 to reach #1 on the NACC 200. Three albums have accomplished this feat in 2019, and it has already happened more quickly this year than the three total times it happened last year. Following Jeff Tweedy (31-1) and Toro Y Moi (20-1) is Andrew Bird, who races 16-1 on the chart this week with his 15th LP, My Finest Work Yet, out on Loma Vista. One album (which we’ll get to momentarily) takes both Top 10 and overall NACC 200 biggest climber honors this week so we have the opportunity to feature another record this week. We’ve chosen to shine a light on the biggest climbing album inside the Top 10. Jumping 9-2 is Yeah Yeah Yeah’s lead singer Karen O and musician and super-producer Danger Mouse with their collaborative album, Lux Prima. This is not Danger Mouse’s first collaboration. He was on the NACC 200 earlier this year with Broken Bells (his band with James Mercer of the Shins) and was also part of Gnarls Barkley with CeeLo Green. Karen O & Danger Mouse‘s BMG-released album will try to challenge Andrew Bird for #1 next week. The NACC 200’s biggest climb comes from Urbana, IL band American Football. They skyrocket into the Top 10 of the NACC 200 this week, leaping 138-10 (the second biggest jump into the Top 10 this year). One thing the band will never be accused of is being imaginative with naming their albums. A self-titled EP has been followed up with three eponymous full-length releases. American Football (LP3) is the band’s second LP since they reformed in 2014 after a 14-year hiatus following their initial 1997-2000 run. Also reaching the NACC Top 10 this week (rising 12-7) are The Coathangers. Landing one of the Top 5-highest debuts on the NACC 200 this year is Animal Collective member David Portner, who records outside the band as Avey Tare. His Domino release, Cows On Hourglass Pond, is his third solo release, though he’s recorded four more collaborative albums as Avey Tare, and another ten LPs with Animal Collective. Cows soars onto the NACC 200 at #21 this week. Bandmate Panda Bear (Noah Lennox) is close by on the chart this week at #24 with his recent Top 10-peaking solo release. Enjoying the second-most added record of 2019 this week is Natalie Mering, who records as Weyes Blood. Mering began writing music as Wise Blood when she was just 15. After changing to Weyes Bluhd, she finally settled on the Weyes Blood spelling, self-releasing her debut album in 2011. Two Mexican Summer LPs followed in 2014 and 2016. Now signed to Sub Pop, Titanic Rising collects 99 Top 10 Adds and debuts at #118 on the NACC 200 this week. Last week’s most-added single from Kevin Parker’s Tame Impala becomes this week’s new #1 on the NACC Singles Chart. In addition to debuting in the top spot there, “Patience” is also the second-highest debut on the NACC 200 at #33. Modest Mouse returns this week with their first new music in four years. Their Record Store Day 7-inch, “Poison The Well,” is a rare Top 10-overall adding record this week.  You can find the Top 5 of the NACC Adds Chart and all of this week’s #1 genre releases and most-added genre records below. There are new #1s this week on the World, Electronic, Chill, Latin, Heavy, and Blues Charts.